To understand what a dental crown is, it’s first important to understand which part of the tooth is involved. Essentially, any part of the tooth above the gum-line and root surface is considered the “crown” of the tooth. So, when there is damage to the crown of the tooth, a lab fabricated dental crown may need to be installed to fix the problem. After some adjustments are made to the affected tooth, these cosmetic and functional restorations are cemented on top of the injured tooth, and are made to look like the surrounding teeth—including the fit, color and shape. WHAT IS THE DIFFERENCE BETWEEN DENTAL CROWNS, VENEERS, AND BONDING? While these three procedures may seem similar on the surface, they actually serve very different functions, and involve different placement methods. While porcelain veneers and dental bonding are typically more cosmetic in nature, dental crowns may also help with the actual functionality of the tooth. This isn’t to say that a crown won’t help with the overall appearance of a damaged tooth—it will. Generally speaking, the primary function of a crown is repair a damaged tooth that has lost a significant amount of its core structure due to trauma or decay. We Can Help You With The Smile You Deserve! 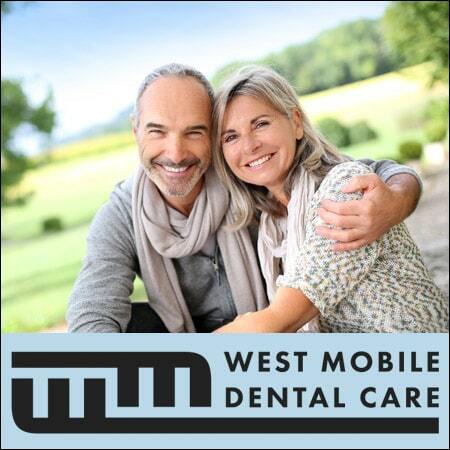 Call (251) 666-3600 To Learn About Our Options for Restorative Dentistry. Keep in mind that dental crowns aren’t always simply for cosmetic reasons. For example, when teeth fracture they can be sharp and jagged, causing further damage to other areas of the mouth, like the tongue and cheek. Following trauma or fracturing a tooth, the inner tooth structure is exposed, which communicates with the nerve of the tooth. It is important to place a crown in this circumstance in order to cover and insulate the underlying sensitive tooth structure. WHAT ARE DENTAL CROWN MADE OF? While a lot of dental crowns are made with porcelain (as it’s a tough and highly aesthetic material), other options include metal (gold or stainless steel) and zirconia. Each of these will help to repair your tooth, but due to differences in appearance and material quality these crowns vary in their application. You’ll want to discuss which is the best option with your dentist. The process of having a crown placed begins with a trip to the dentist where your dentist can take a look at the problem with the tooth, and evaluate different options for care. If they decide that your tooth is in need of repair that goes beyond a simple bonded restoration or filling), they will then X-ray your teeth to make sure that there isn’t damage or infection below the gum-line. If this is the case, a more comprehensive procedure may be necessary. If the root of the tooth and the gums are in good health, your dentist will be able to begin work on your dental crown. The first step is the removal of any decay. Following additional modification of the tooth to make room for the new material, an impression of your prepared tooth will be taken to properly construct a crown that is custom to your bite. The dentist may install a temporary crown for a few weeks while the lab customizes your new crown. Once the crown is ready, your dentist will remove the temporary crown and then will permanently cement the lab fabricated crown. Your dentist may suggest a local anesthetic for this procedure if the tooth has been sensitive while in the temporary crown. Once your dentist is sure that the crown appropriately covers and seals your tooth and that you bite is comfortable, your crown will be permanently cemented in place. Can My Dental Crown Fail? Keep in mind that your dental crown needs to be properly managed similar to a natural tooth or else you could get decay at the junction of the crown and natural tooth structure. Porcelain crowns also have the potential to chip and break if traumatized. It is important to wear a mouth guard or night guard if you have porcelain crowns on your front teeth. …your dental crown may be failing. 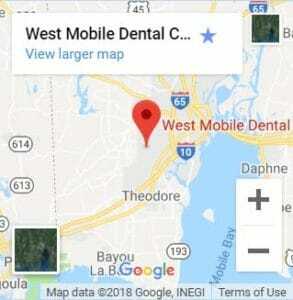 If so, contact your dentist immediately. What Kind of Maintenance Is Involved After Having a Dental Crown Installed? Just like with your regular teeth, your crown needs to be properly cared for to keep it healthy and in perfect working order. This includes flossing, brushing and maintaining your cleaning recall appointments with your dentist. Also, you will need to be mindful of your new crown when it comes to eating harder foods. Your crown can crack, so you’ll want to be careful with things like nuts, hard candies, and popcorn kernels. Crowns are considered a permanent restoration, however as discussed previously, they have the potential to need to be replaced. Still, you can ensure that your crown lasts longer by taking proper care of it. Most crowns last an average of five to fifteen years, but if you take great care of them, they may last you as long as decades! We Can Help You With The Smile You Deserve! Call (251) 666-3600 Today. What Do I Do If I Think I May Need a Dental Crown? If you think that you may need a dental crown for a cracked, chipped, decayed or damaged tooth, it is best to set up an appointment with your dentist as soon as possible for an evaluation. Like with many other medical conditions, the earlier the treatment, the easier it may be. If you leave a damaged tooth for too long, it may continue to sustain damage and cause pain or an infection. With appropriate attention, you’ll find that you caught the problem early enough that you simply need a crown installed and avoid more extensive procedures like root canals or extractions.